Coinmama is a leading cryptocurrency brokerage company that allows you to buy several types of cryptocurrencies with your credit card. Coinmama’s brokerage service allows you to buy Bitcoin and other cryptocurrencies easily. The company recently started focusing on customer experience and customer service so that transactions are super quick (user verification takes up to one hour). For beginners, this is an excellent option for buying your first Bitcoin. More advanced users can use alternative trading platforms to avoid high fees. Conclusion – would I use this exchange? Coinmama was established in 2013 in Israel and has since grown to serve over 1m customers in over 180 countries with over 30 employees. Today the company is registered in Slovakia while still owned and headquartered by New Bit Ventures in Israel. On February 15th 2019, Coinmama reported that about 450,000 email addresses and hashed passwords of users who registered until August 5th, 2017 have been stolen from their database. This comes as part of a larger breach affecting 30 companies and a total of 841 million user records. Coinmama supplies a brokerage service for Bitcoin and other cryptocurrencies. This means that the company sells you the coins directly as opposed to a trading platform where you buy the coins from other people. The pros of a brokerage service are mainly that the process is usually simpler and faster since you don’t need to look for a buyer on your own. On the down side, brokerage services are usually more expensive. In Coinmama’s case, the company has made ongoing efforts to reduce their fees as much as possible. At the end of this post you can see how Coinmama compares to other exchanges. As soon as your payment clears, Coinmama sends you your coins. This is crucial since sometimes a day or two can mean wide price fluctuations in price and you end up buying coins for more or less than you originally intended. It is also worth mentioning that Coinmama “locks” the Bitcoin price for you as soon as you submit your order. Coinmama accepts credit or debit cards that is issued by Visa or Mastercard. The company has recently started accepting SEPA payments as well, with 0% processing fees. Prices are denominated in EUR or USD. The prices you see on Coinmama’s website already include the company’s brokerage service fee of 5.9%. The base price is calculated from TradeBlock’s XBX index. On top of the stated price, you will need to add a 5% credit card processing fee. This means that usually Coinmama’s price will be around 10.9% above the market rate. The minimum amount of Bitcoins you can buy is $60 or the equivalent in EUR. The daily buying limit is set to 5000 USD / EUR and the monthly limit to 20,000 USD / EUR. In order to make any type of purchase you’ll need to complete some form of identity verification. There are 3 levels of verification, however, according to Coinmama’s documentation, they do not affect the buying limits. Level 1 – Requires 1 valid government issued ID, a selfie of yourself holding that ID and a note with “Coinmama” and today’s date written on it. Level 2 – You need to submit a secondary ID. Apart from two of the above IDs, you will also need to upload a utility bill. Level 3 – Requires filling a short form. Coinmama offers its services worldwide with the exception of sanctioned countries and several US states. Afghanistan, Aland Islands, Albania, Algeria, Andorra, Angola, Anguilla, Antigua and Barbuda, Argentina, Armenia, Aruba, Australia, Austria, Azerbaijan, The Bahamas, Bahrain, Barbados, Belarus, Belgium, Belize, Benin, Bermuda, Bhutan, Bonaire, Sint Eustatius and Saba, Bosnia and Herzegovina, Botswana, Brazil, Brunei Darussalam, Bulgaria, Burkina Faso, Burundi, Cambodia, Cameroon, Canada, Cape Verde, Cayman Islands, Central African Republic, Chad, Chile, Colombia, Comoros, Congo, Congo, the Democratic Republic of the, Cook Islands, Costa Rica, Cote D’Ivoire, Croatia, Curacao, Cyprus, Czech Republic, Denmark, Djibouti, Dominica, Dominican Republic, Egypt, El Salvador, Equatorial Guinea, Eritrea, Estonia, Ethiopia, Falkland Islands (Malvinas), Faroe Islands, Fiji, Finland, France, French Guiana, French Polynesia, Gabon, Gambia, Georgia, Germany, Ghana, Gibraltar, Greece, Greenland, Grenada, Guadeloupe, Guatemala, Guernsey, Guinea, Guinea-Bissau, Guyana, Haiti, Holy See (Vatican City State), Honduras, Hong Kong, Hungary, Iceland, India, Indonesia, Iraq, Ireland, Isle of Man, Israel, Italy, Jamaica, Japan, Jersey, Jordan, Kazakhstan, Kenya, Kiribati, Korea, Republic of, Kuwait, Lao People’s Democratic Republic, Latvia, Lesotho, Liberia, Libyan Arab Jamahiriya, Liechtenstein, Lithuania, Luxembourg, Macao, Macedonia, the Former Yugoslav Republic of, Madagascar, Malawi, Malaysia, Maldives, Mali, Malta, Marshall Islands, Martinique, Mauritania, Mauritius, Mexico, Micronesia, Federated States of, Moldova, Republic of, Monaco, Mongolia, Montenegro, Montserrat, Morocco, Mozambique, Myanmar, Namibia, Nauru, Nepal, Netherlands, Netherlands Antilles, New Caledonia, New Zealand, Nicaragua, Niger, Niue, Norfolk Island, Norway, Oman, Pakistan, Palau, Panama, Papua New Guinea, Paraguay, Peru, Philippines, Pitcairn, Poland, Portugal, Qatar, Reunion, Romania, Russian Federation, Rwanda, Saint Barthelemy, Saint Helena, Saint Kitts and Nevis, Saint Lucia, Saint Martin, Saint Pierre and Miquelon, Saint Vincent and the Grenadines, Samoa, San Marino, Sao Tome and Principe, Saudi Arabia, Senegal, Serbia, Seychelles, Sierra Leone, Singapore, Sint Maarten, Slovakia, Slovenia, Solomon Islands, South Africa, Spain, Sri Lanka, Suriname, Svalbard and Jan Mayen, Swaziland, Sweden, Switzerland, Taiwan, Province of China, Tajikistan, Tanzania, United Republic of, Thailand, Togo, Tokelau, Tonga, Trinidad and Tobago, Tunisia, Turkey, Turkmenistan, Turks and Caicos Islands, Tuvalu, Uganda, Ukraine, United Arab Emirates, United Kingdom, United States*, Uruguay, Uzbekistan, Vanatu, Venezuela, Viet Nam, Virgin Islands, British, Wallis and Futuna, Western Sahara, Yemen, Zambia. Arizona, California, Colorado, Florida, Illinois, Indiana, Kansas, Kentucky, Louisiana, Maryland, Massachusetts, Michigan, Missouri, Montana, Nevada, New Jersey, North Carolina, Pennsylvania, South Carolina, Tennessee, Texas, Virginia, Wisconsin. Coinmama has a complete help center and also a dedicated support channel via email. Support requests are usually answered within 24 hours. I also took a look at various customer reviews users posted online – they weren’t encouraging. Having reviewed over 20 exchanges by now, I know that when people leave reviews online it’s almost always negative reviews because they are pissed off about something. That’s why I make it a habit to actually read through the reviews and see what people are complaining about. The majority of Coinmama’s negative reviews complained about one thing – the identity verification process. Users claim that Coinmama requests a ton of information and in some cases rejects applications without giving proper explanation why. From my own experience I can say that verification with Coinmama was relatively easy, and yes, they require a lot of information. However this is just standard Know Your Customer (KYC) and Anti Money Laundering (AML) policies most legit exchanges must adhere to. If you want to read some more user reviews for yourself head over to Bitrust. Here’s a short comparison of Coinmama’s. brokerage service compared to other popular services around. IMPORTANT – The fees stated in this table are for credit card purchase only. Also, some exchange have additional fees on top of the ones stated so it’s better to compare the final price of purchase instead (as seen below). Coinbase charges a 3.99% fee for credit card purchases, which is lower than the 5.9% Coinmama charges. Unlike Coinmama, Coinbase supports only a limited number of countries around the world and is known to have horrible support. Changelly was known to be one of the most expensive services you could use to buy Bitcoin with a credit. However, it seems that lately they have optimized their service to offer a more competitive offer. Changelly takes a 5% on top of the existing 5% payment processor fee. This is 0.9% cheaper from Coinmama’s total fee. Also, it seems that the exchange rate Changelly uses is cheaper than Coinmama’s, so overall you can save up to 3% by using their service. Bitstamp’s brokerage service is almost identical to Coinmama’s, with about 0.5% difference between the services. Both have good reputation. Bitstamp is one of the oldest and most respected exchanges out there so it’s a solid alternative for Coinmama. Also, just like Coinmama, the exchange supports a wide variety of countries worldwide. At the time of writing, Binance is still strictly a crypto to crypto exchange so there is no way to buy coins on it with a credit card or a bank transfer. Because of this it’s basically impossible to compare the two exchanges. The short answer is yes. Coinmama is a reputable company and their support is pretty good. Their only downside, in my opinion, is the high fees. Unfortunately, this can’t be avoided when using a credit card, but considering the prompt service it’s sometimes worth the cost. If you have the option to use a SEPA transfer rather than a credit card that’s even better since you’ll save 5% in total fees. All in all, the service is solid. 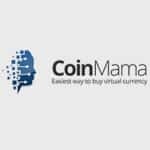 If you’ve had your own experience with Coinmama, I’d love to hear about it in the comment section below. Coinearners is giving me hell, sorry to say l am suspecting they are a scam. I opened an aaccount with them and deposited some money. The following day l earned my profit and upon requesting a withdraw they cannot realize the money. Upto now the money is hanging in the pending withdraw. No support is attending to my queries and they are busy advertising that people are making deposits and withdrawals. I look at all these comments below and the only thing i can think of is that the ones who gave a negative review are either doing something illegal or are connected to someone who is. Coinmama are so tight with their legal compliance it makes me cry. I come from a law background and I can tell you this from fact! If you dont agree then you really dont know anything about the financial industry! Fact! I highly recommend Coinmama! I used coinmama a couple of times to check if I still have bad impressions. They put off my claim for 3 days and executed it only after I turned in support. Awful practice. Before that, I used a similar service changenow, no problem. Support responded instantly, besides my transactions were completed on time. I just wanted to check coinmama, as one of the options, nothing good.